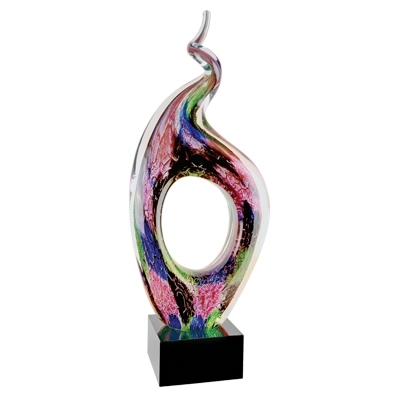 The Twist Top Artistic Award features multicolor swirls rising upward with an artistic opening in the middle of the glass. The piece rests on a black glass base with your custom text and logo laser engraved on a black and silver plate. Each piece is unique! Due to the handmade nature of this piece, colors and sizes will vary slightly.